M&G ensures the best solution for flue systems in chimney renovation. Their advanced, environmentally-friendly Flexline products offer unique and complete systems that will improve renovation projects. 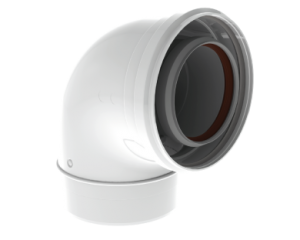 Currently there are three systems available: Flexline individual flue system, Multi-Flexline shared flue system and Concentric Flexline individual flue system. The Flexline products are made of special PP plastic, are in accordance with EN 14471, ULC-S636 for Canada and are suitable for condening gas and oil boilers with a maximum flue gas temperature of 120 C.
The Multi-Flexline system saves money, space and time. This system is usable over six floors depending on the type of high-efficiency boiler. It is easy to work with and leaves a great deal of motion space in the shaft. The simplicity of the system is unparallelled. The smart and innovative ‘click’ system proves to be a fast and sure-fire way to achieve a flawless installation. The unique connective pieces are quick and straightforward to install without the use of tools. Just a simple click and the connection is perfectly sealed and is completely tension-proof due to the built-in pull relief. As an added advantage the flex-pipes are light-weight, extremely flexible and can handle a considerable tensile force. In all of the Flexline systems, the flexible synthetic pipes are double-walled for extra security. This guarantees that the pipe is gas-proof and is therefore highly recommended for chimney lining in a renovation project. If, for example, the outer lining is damaged by a jagged shaft, the system inside remains sealed and protected with a second security wall. 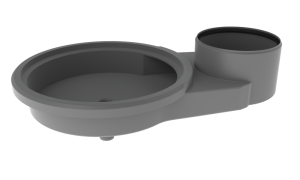 Simultaneously, the smooth inner layer ensures a free flow of the flue gases and the flow resistance is minimal. Furthermore, the material is exceptionally resistant to aggressive condensation. As a consequence, the inner layer ensures an extra-long life span, as there are no ridges in which condensation can gather. 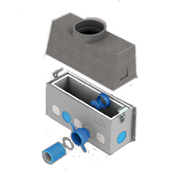 This expansive and innovative range of Flexline-systems offer the ideal solution for flue systems in stacked housing construction. It is an absolute must in any new build or renovation project.